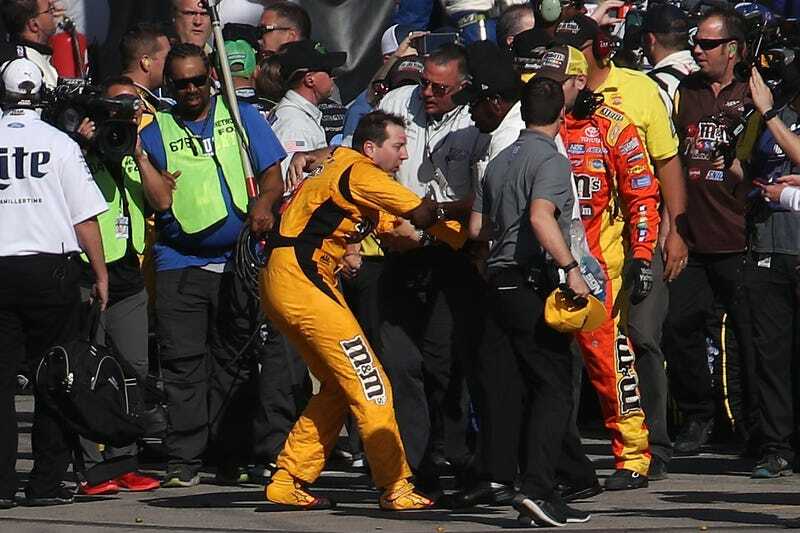 NASCAR gave out zero penalties for the last-lap on-track contact between Kyle Busch and Joey Logano and the subsequent fight that followed, per NASCAR’s post-race penalty report. Of course they didn’t! All’s fair in love, war and getting everybody to talk about NASCAR thanks to a ridiculous post-race fight. 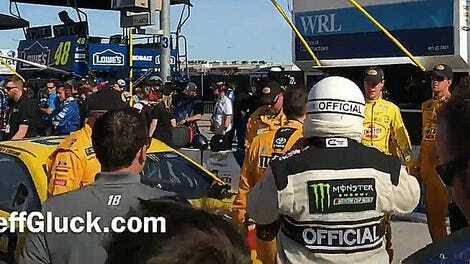 After ﻿a full review of multiple videos and discussions with both competitors and their respective race teams, we felt Sunday’s post-race incident does not warrant any further action. NASCAR was built on racing that took place on the final lap by two drivers battling for position. The emotions of our athletes run high, and Kyle Busch and Joey Logano are two of the most passionate and competitive drivers in the sport. Both competitors are very clear on our expectations going forward and we will be meeting with them in person prior to practice on Friday in Phoenix. What NASCAR penalized instead were lugnuts, which did not cause even your NASCAR-abhorring friends to talk about the NASCAR fight. Crew chief Cole Pearn of race winner Martin Truex Jr.’s No. 78 car and crew chief Robert Barker of Ty Dillon’s No. 13 car were both fined $10,000 for a safety violation related to improperly installed lugnuts. So, there you have it: punch away, but messing with anyone’s nuts is still a bridge too far.